From the Donut Plains to Rainbow Road, we’ve all mastered the twists and turns of the tracks on the original Super Mario Kart. 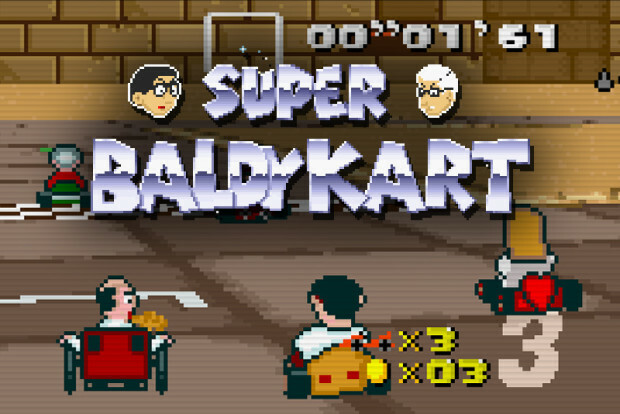 Fans of the series now have another take on the 16-bit classic to put their foot through – Super Baldy Kart. This comprehensive ROM hack is set to give both the pros and 50cc-ers an all new selection of both circuits and characters to challenge with.